Our donors are an essential part of the JI Village! It takes a village to provide caring philanthropy to meet the capital needs of agencies serving the disadvantaged in Indian River County. This year, the John’s Island Foundation is blessed to have a village comprised of nine site captains and 35 team members. These teams are currently visiting 23 local, nonprofit agencies to review grant requests totaling almost $800,000. Julie Parker, a member of the JI community since 2008, wasted no time putting her business background to work. A site review team member since 2010, she has captained teams since 2012 while also serving as a Foundation board member. 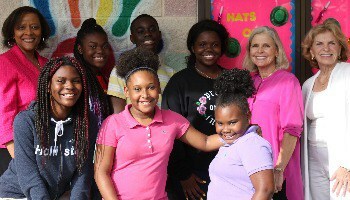 This year she and her team will evaluate grant applications from Feed the Lambs, which needs laptops for its tutoring program; Salvation Army, which seeks to purchase a new cooler and freezer; and Gifford Youth Achievement Center, which requires new hurricane-proof windows. JI Foundation thanks its 2017-2018 Site Team Captains: Pat Brier, Rob Elliott, John Hessian, Don Kittell, Dennis Longwell, Julie Parker, Bill Sayler, Steve Trooboff, and Margie Wheeler. Our donors are an essential part of the JI Village! It’s not too late to contribute to the JI Foundation- your gift, big or small, will help us to make a lasting difference in our community!